Is your child always in the clouds? Sometimes, looking confused can mask an attention deficit. Find out what may be the reason and how to help you focus better. 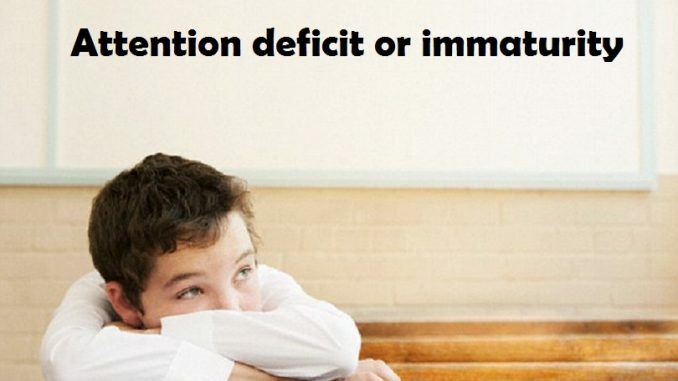 What can be the cause of attention deficit? An attention deficit disorder (ADD). It can be linked to hyperactivity (ADHD). Fatigue or stress. Either by sleeping little or by an excess of activities, the capacity for concentration decreases and memory becomes difficult. Vision or hearing problems. A visual or hearing defect that has not been diagnosed or treated can lead to a false lack of attention. The nervousness. When we are nervous, we secrete corticosterone, a hormone that interferes with memory. A bad diet. The lack of some essential nutrients in your diet can interfere with the quality of memory. Reinforce well-done activities and dedication with constant congratulations and, from time to time, with prizes such as playing fifteen minutes more on the computer or giving a story. Practice games that favor attention and concentration: memories of couples, look for a drawing on a sheet, color mandalas or complex abstract drawings, choose a correct answer among several, make a silhouette following the numbered points, color according to a designated color code by numbers, sort cards according to a temporary sequence or look for a hidden object following instructions or interpreting clues. Give him the instructions one by one. Thus, you will not be distracted by receiving several orders at the same time. Offer visual aids such as, for example, gluing on the bathroom door some washing hands or a toothbrush. Practice some relaxation method with him to reduce anxiety. Can you have a attention deficit? He does not pay attention to details and often makes mistakes in tasks. He finds it difficult to keep his attention on homework and games. It gives the feeling that he does not listen when spoken to. Often, he does not follow the instructions and does not finish the work . It is difficult for him to organize . Tends to avoid activities that involve greater mental concentration . He often mislays objects (toys, school supplies or clothes). He is distracted by inconsequential things. He easily forgets everyday activities. If six or more points have occurred in a period of at least six months and, in addition, some symptoms were observed in at least two different environments (school, home …), affect the child’s daily life and can not be explained by any disease, then it is advisable that you consult a specialist in Attention Deficit Hyperactivity Disorder.